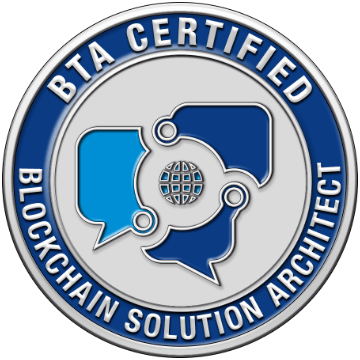 This Value Pack + Exam includes the entire series of online, self-paced, accredited training courses to become a Certified Blockchain Solution Architect (CBSA). A Pearson VUE voucher is included, allowing you to register for the exam at no additional cost. 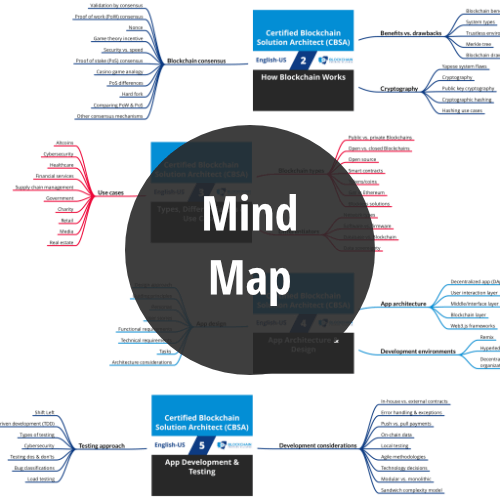 To get certified, you must pass a 70-question, 90-minute, multiple-choice exam. The passing score is 70% (49 of 70 answers must be correct). Upon successful completion, you will receive an official Blockchain Training Alliance (BTA) certificate and coin engraved with a unique, verifiable crypto hash.